What makes Ellis Developments such a unique company is our approach to design. When it comes to urban land design, house and land need to be looked at as one design. This is why we reverse engineer the land with the house designs in mind first. This ensures our developments are harmonious in design and our clients get the best possible outcome. We approach all land sub-divisions holistically, starting with acute considerations given to orientation, airflow, aspect, views, and solar impact then design our homes based on those factors. 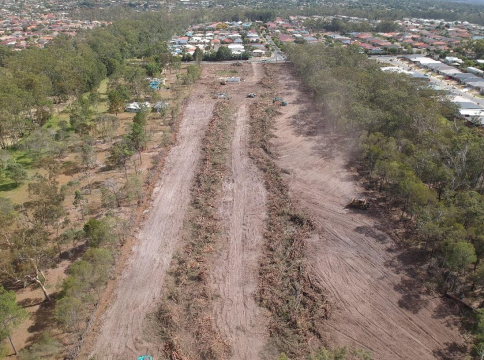 On numerous occasions we have redesigned lots within established developments in order to better utilize the land for the North Queensland lifestyle. We have taken these considerations and successes and applied them in designing our own boutique developments including Railway Cottages, Haven, and more recently The Essence. We welcome collaborations with fellow land developers to utilize our in-house team of specialists who have proven track record of successfully designing residential communities for the North Queensland climate. The Haven estate is one of the last remaining large-scale residential sites near the CBD, linking all of Townsville’s unique lifestyle offerings within a 2km radius. At the western base of Castle Hill, this community of 200 home and land sites signals a shift to well-designed, inner city urban homes to meet the community’s changing lifestyle and evolving needs. Each to each house (normally considered ‘extras’) as standard to present a range of homes that are economical to build with high-end features. Ellis Developments also entered the Townsville urban housing market in 2013, building a small-lot development, Hampton Court. The project consisted of eight houses with an average lot size of 220sqm. Hampton Court was a Housing Industry Association (HIA) award winner and both Ellis Developments and Townsville lifestyle buyers have not looked back. Railway Cottages is the newest boutique estate offering a variety of high-set, modern Queenslanders. Nestled conveniently within 2km to Townsville CBD & New Stadium, schools, boat ramp, restaurants, and shops. The 8 Railway Cottage lots are all over 400sqm and home designs fuse the charm of the Railway Estates neighbourhood with the elegance of modern design. Seeing the potential in 3 hectares of the Logan reserve area, Ellis Developments is currently underway on developing The Essence. This $10.5 million dollar project will soon be the site of 45 residential lots with an average lot price of $240,000. Over 50% of the lots are under contract before we broke ground.